Murder in Successville is a 30 minute scripted mystery television series, which kicked off on May 6, 2015, on BBC Three and is broadcast every Wednesday at 22:00. The show is currently in its 3th season. BBC Three is yet to announce the renewal of Murder in Successville for Season 4 as well as its cancelation. Sign up to track down the show's status and its release date. 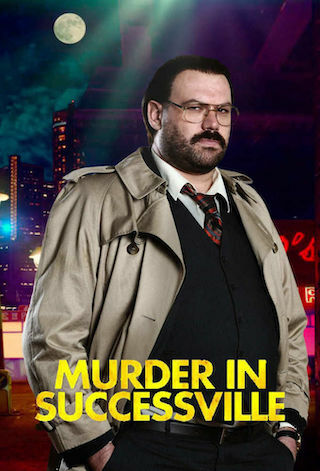 Successville is a surreal place with a high celebrity homicide count. Each week Successville's loveable detective DI Sleet enlists the help of a celebrity sidekick to solve the latest high-profile murder in this improvised comedy murder mystery series.